Allot Communications is a leading provider of security and monetization solutions designed to protect and personalize the digital experience that your network delivers every day. 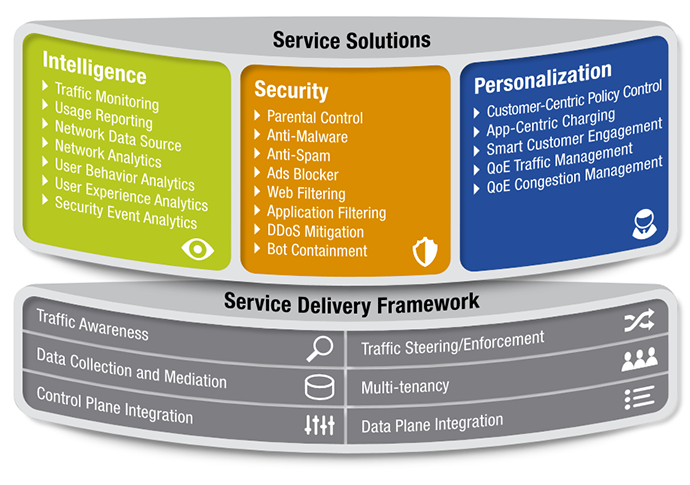 Allot solutions are based on a highly scalable service delivery framework that enables you to leverage the traffic intelligence in your network so you can get closer to your customers, safeguard them from online threats, and accelerate time-to-revenue for value-added services. Allot blends innovative technology, industry know-how, and a collaborative approach to assure that you get the solution that is right for your network environment and your business. Allot products and solutions are backed by a global support organization and expert professional services that deliver tangible results and create real value for our customers. Allot security and monetization solutions comprise a growing portfolio of digital lifestyle services powered by a scalable service delivery framework that integrates easily in any network environment. Our focus on service intelligence, security and personalization helps you monetize network usage through targeted customer engagement and value-added services that enhance the digital experience of every customer. In traditional networks, Allot Service Gateway inline platforms provide a single point of integration for the deployment of services ranging from visibility, control and security to customer engagement and monetization. Allot Service Gateway Virtual Edition plays the same role in NFV environments, providing a virtualized service delivery framework for seamless deployment, integration and interoperability of virtualized network functions (VNF). Allot Service Gateway platforms enable flexible deployment and efficient delivery of digital lifestyle services over both traditional and virtualized network infrastructure. With 100GE and 10GE connectivity and throughput that scales to terabits- per-second, these carrier-class platforms help you satisfy the growing demand for safe, personal, and affordable Internet services. Allot offers a growing portfolio of pre-integrated services as well as real-time traffic steering to virtualized services in the cloud. With speeds ranging from 20 Mbps to 16 Gbps, Allot NetEnforcer platforms are purpose-built to provide the visibility, control and service integration that is needed to ensure application performance and user quality of experience across enterprise, cloud, and service provider networks. As the scalable management system for Allot platforms, and services, Allot NetXplorer provides a central vantage point for network-wide configuration, policy management, and traffic monitoring. NetXplorer Reporter provides real-time reports with 30-second accuracy for fast troubleshooting and resolution of customer care cases. NetPolicy Provisioner provides a self-management interface for your VPN and managed services customers. Allot NetPolicy Provisioner provides a self-management interface for your VPN and managed services customers.